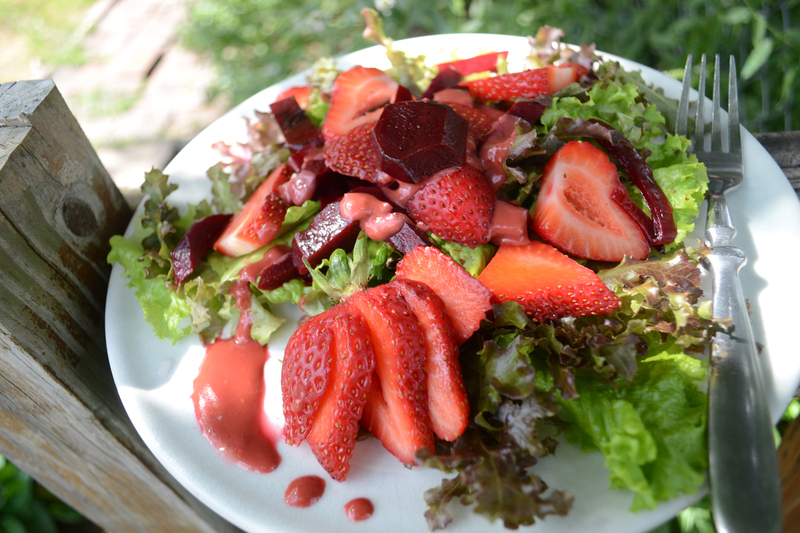 As covered in my post 5 Skin Benefits of Eating Salad there's a host of happy results when you fit some fresh fruits and veggies on your plate en masse at least once a day. Read up and then come on back to make this sweet and unexpected dish. 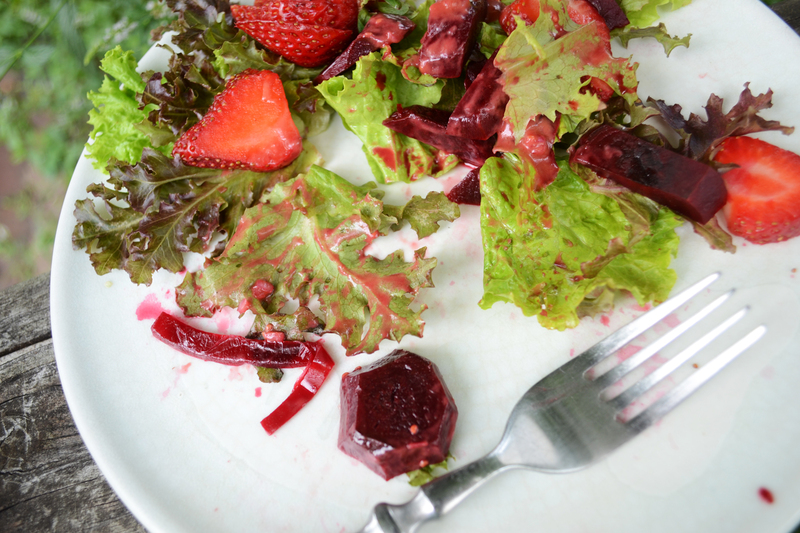 Since we've already covered the health benefits of salad and beets in particular in other posts we'll get right to the recipe. All the fresh ingredients used are in season in summer meaning you can eat totally locavore for this dish. My spring beets were ready to pick in June, as were the berries and the last of the lettuce. 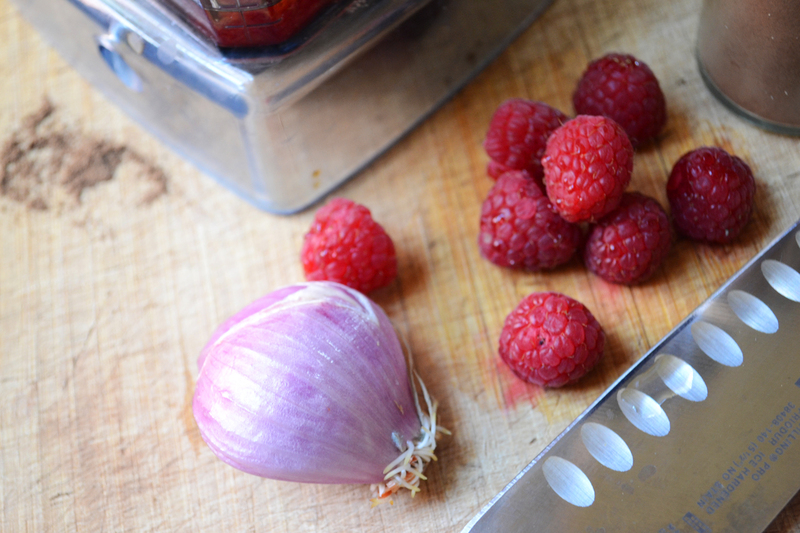 Puree raspberries in blender or food processor. 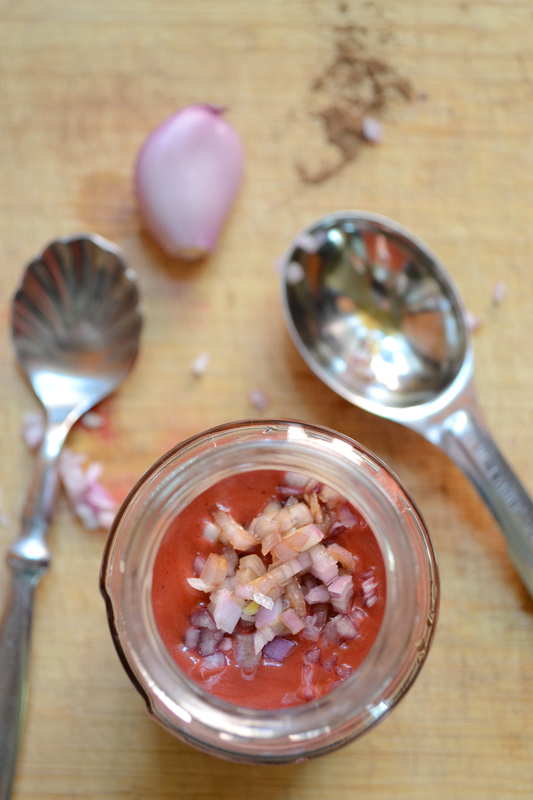 Blend in remaining ingredients except for shallot. Stir minced shallot in by hand. Stir dressing before adding to salad. 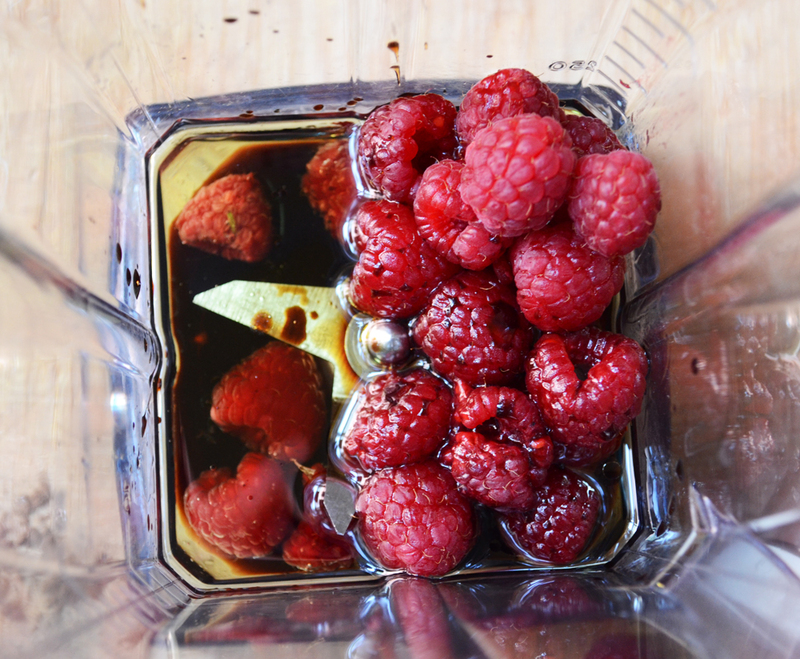 I used di Olivas Raspberry Balsamic Vinegar, which is a very syrupy, thick, sweet vinegar you can practically drink straight. It is a gourmet vinegar only available at their own store here in St. Louis. 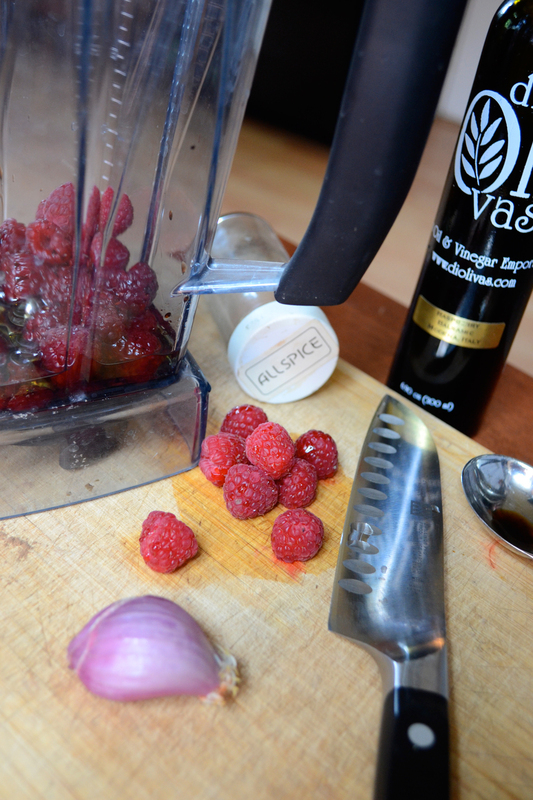 If you can't get a raspberry balsamic in your area then go for the best quality plain balsamic you can get. 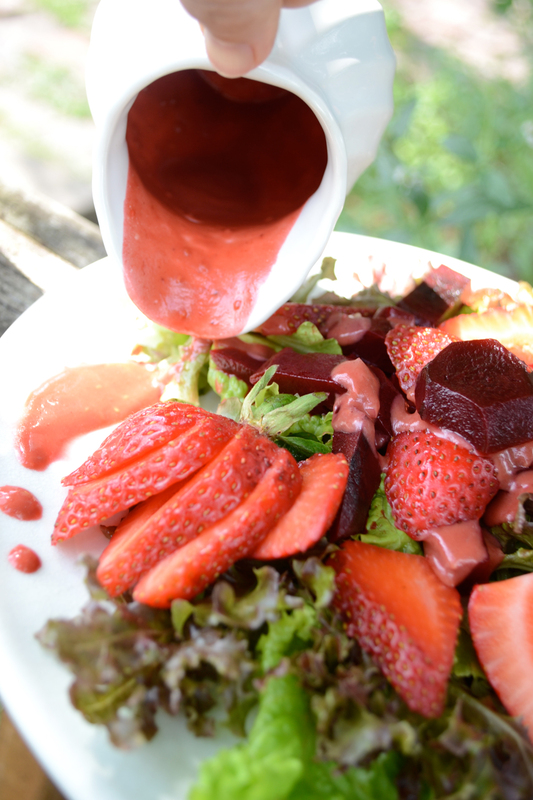 The quality of the vinegar will greatly affect the final result of your dressing. 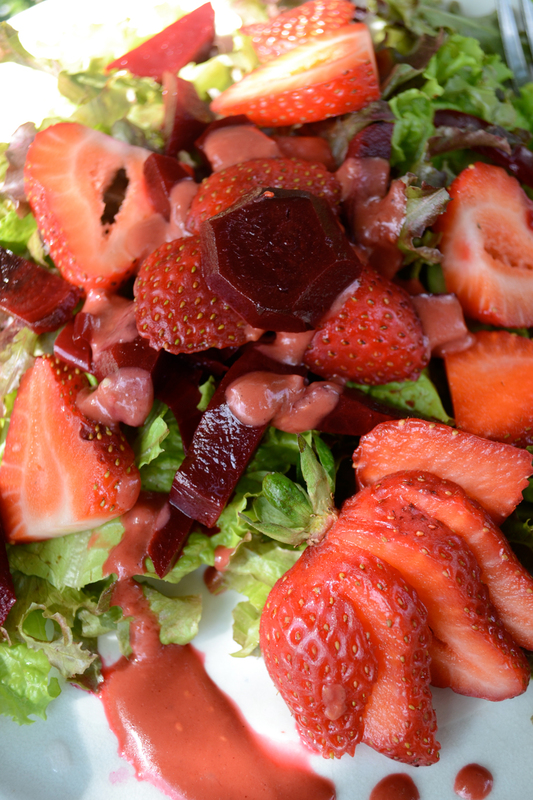 Arrange sliced, pickled beets and sliced strawberries evenly over the lettuce. Sprinkle chia seeds and drizzle dressing on to taste. Eat and enjoy! 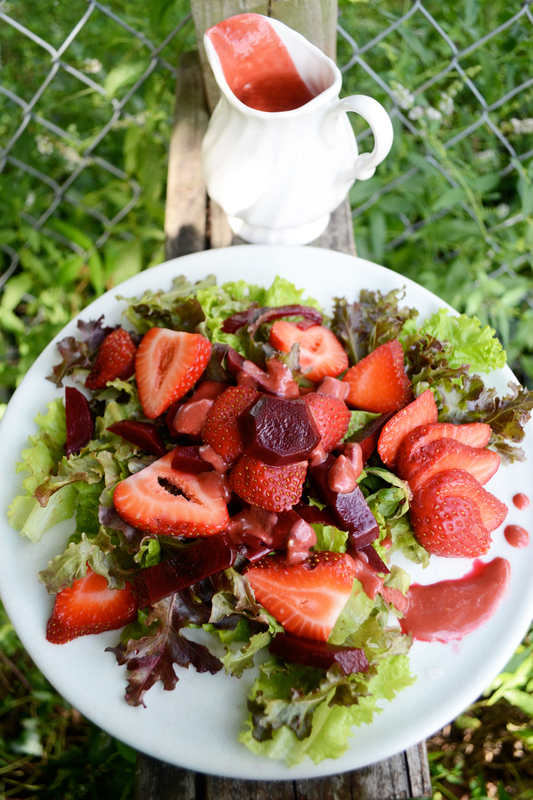 I served this original salad at the 6/21 Dinner in the Garden held in the Blissoma Community Garden and hosted by myself and Jessica Leitch of City in a Jar. 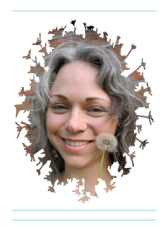 The event was inspired by Jessica Murnane of One Part Plant who has been exciting me with her For Reals Meals series that features collaborations with creative professionals in Chicago, slow food recipes, and general awesomeness. I'll be posting more of the recipes created just for our Dinner in the Garden/St. Louis For Reals Meals event soon and you can catch the full photo story on both City in a Jar and From the Bathtub.